A scene from one of last year's plays. About a year ago, I fell in love with the Accra Theatre Workshop. This was after I attended their first major event; An African Visits a Psychiatrist's Office - a collection of thought provoking and funny plays acted out on the most basic of stages on a lawn of a house in Tesano. I wrote about my experience here. I missed several of their events in the past year because of other engagements but there's no way I'm missing the second season of their short play festival; An African Walks into a Container. According to ATW, this year's collection of 10 minute plays features work from 8 different playwrights, 3 emerging directors and a brilliant ensemble of talented actors. 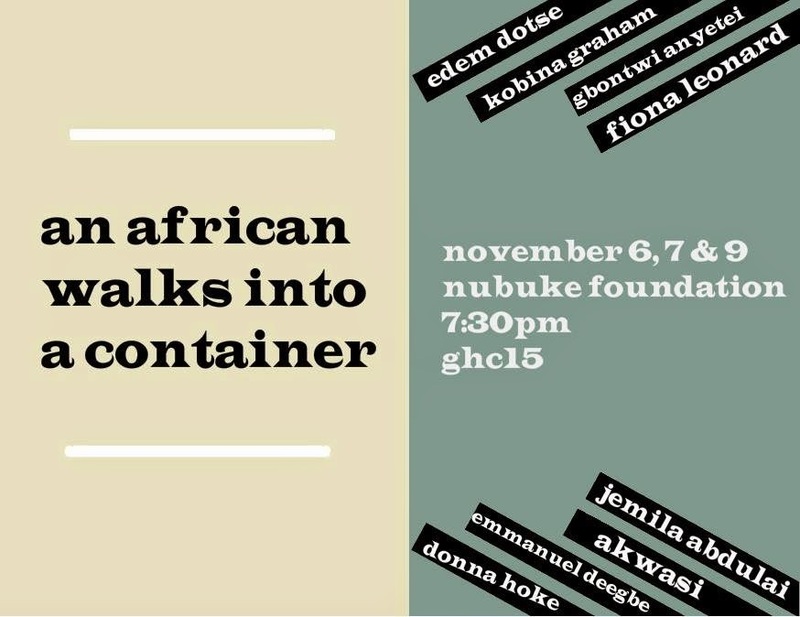 An African Walks into a Container is scheduled for November 6, 7 & 9 at 7:30pm each night for GH¢15 only at the Nubuke Foundation in East Legon.